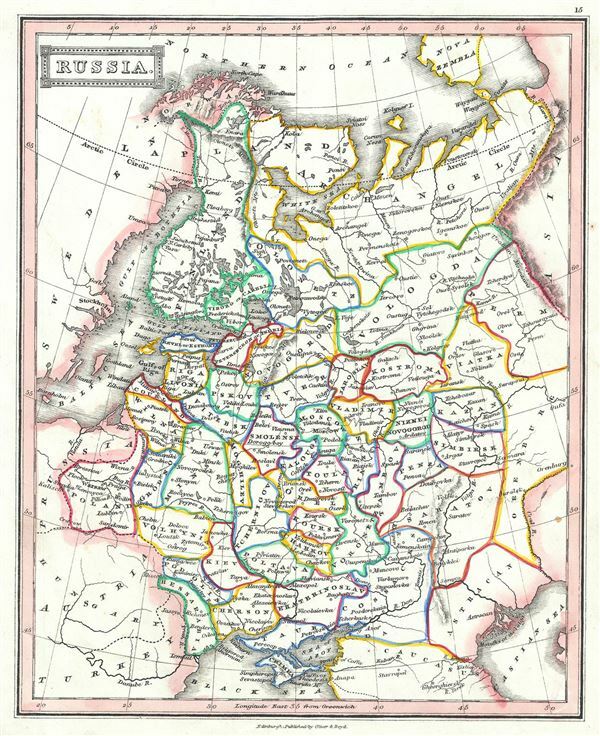 This is a fine example of Thomas Ewing's 1845 map of European Russia. It depicts the European portions of Russia from the Arctic Sea south to the Black Sea and Caspian Sea, and extending west as far as Poland and east as far as Orenburg and Perm, inclusive of the Ukraine. Various towns, rivers, cities, mountains and several other topographical details are noted with relief shown by hachure.